Our product range includes a wide range of wet mix macadam plant. With rich industry experience and knowledge, we are offering our clients a Wet Mix Macadam Plant. In order to ensure quality of this plant, our team of experts tests the entire array on various parameters. Apart from this, we provide our offered plant in different specifications and configurations, in order to meet varied needs of clients. Furthermore, this plant is highly acknowledged for its long lasting performance among our clients. 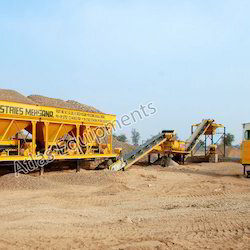 Looking for Wet Mix Macadam Plant ?